It’s time for all of us to work smarter, not harder. For studio owners that means using every resource you have, to 100% capacity, to further your goals of running an efficient, smoothly running, and most of all profitable operation. After all, it’s only when that has happened that we can sit back and actually enjoy what we have built. As the CEO of a company that was founded on, and continues to build on innovation we are no strangers to copycats! When I was just starting out I worked for the inventor of the famous Ab Roller product - an innovation that sold over 10 million units and generated over $1BILLION in worldwide sales. Many people have heard of the product but what they may not know is that his innovation was copied by over 28 companies and he spent over $15M defending his patents in court. When you Google the fitness programs you offer and your area, have you ever noticed the website of one of your competitors is ranking higher than yours is? Does it make you wonder what they’re doing that you aren’t? It’s extremely likely that their website has Google-optimized content! A couple of months ago, I shared an overview of my five steps to creating a financially successful gym. Today, I want to go more in-depth into the first of those five steps, marketing and acquiring leads. Marking and acquiring leads are vital to building a successful gym or studio since that’s how you grow your client base. We’ve found that in order to get people to try you out, you need to make them an offer – entice them to come check out your facility. It’s a question all writers hear and it creates anxiety that keeps non-writers from getting started. But in today’s business climate, most of us have to write with some frequency or at least present topics to develop. Fitness professionals around the world are using landing pages as a tool to grow their businesses. As we are entering the heart of tax season, fitness studio and gym owners are likely on edge. It does not have to be that way. We previously wrote an article on how to make tax season a breeze and I suggest you revisit that as we kick off 2019 so you know things you should be aware of. Most of us have been to conferences and seen presenters on the convention circuit. Have you ever thought that you may want to break into that aspect of the industry, but did not know how to get the process started? In this article, I will help you get the ball rolling, give you some insight and pointers, and assist you in determining if you have what it takes. 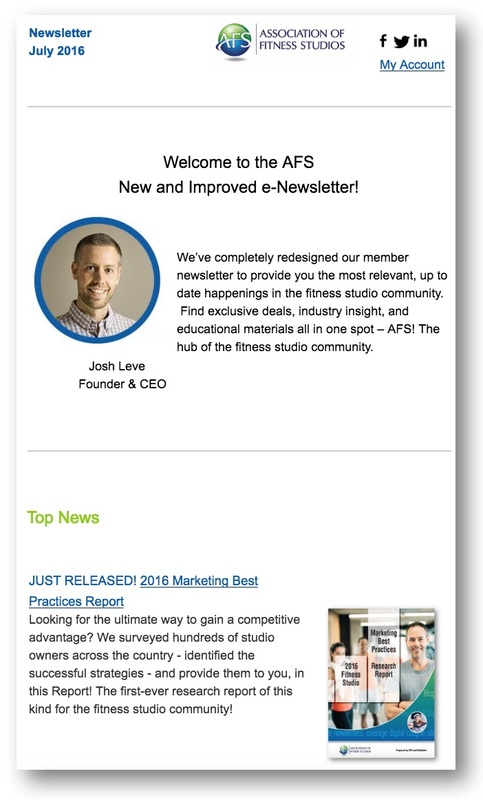 Email marketing isn’t something many fitness studio owners want to tackle. It sounds like a lot of work to write emails monthly, weekly, or even daily, and perhaps any efforts you’ve tried in the past turned up empty. That’s why so many fitness studios let their email list collect dust. There are more important things to focus on, right? Wrong. It is no secret that many people start out each new year with the age-old New Year’s Resolutions. It is also no secret that by the end of January most of these resolutions have gone by the wayside. People have reverted back to their old ways and have lost the motivation for whatever new thing they were going to accomplish this year.